Sarah, the Thrifty Decor Chick, wanted to find a good use for an empty closet in her house. 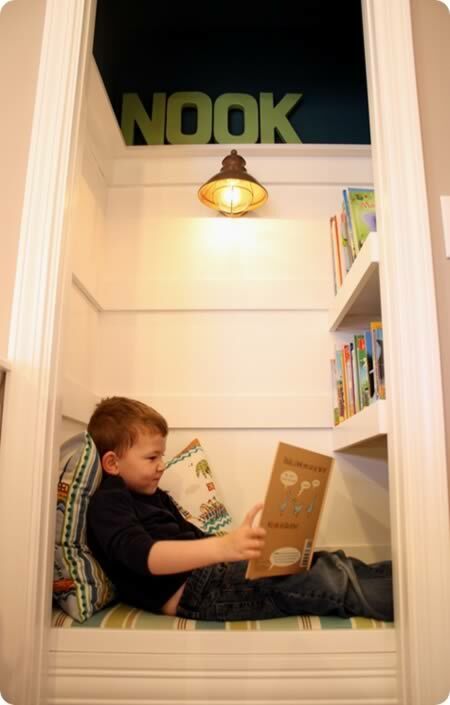 With some careful planning and carpentry, she turned it into a reading nook for her son. Now the little reader has a special place to go enjoy his books. If you lack space but not creativity, this headboard closet is an amazing idea. Wondering what to do with all of your old Boyz II Men and New Kids on the Block tapes? You could take a cue from Dutch designer Patrick Schuur and turn them into a useful closet where you can store, well, your CDs and DVDs. 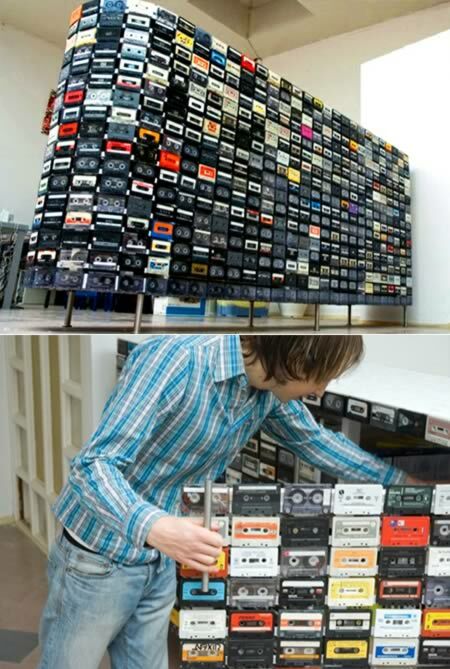 The creative crafter used 918 old cassette tapes as mosaic tiles that he individually screwed onto a handmade wooden frame. The retro cabinet has since been sold, but before that it also served as a room divider at Schuur's studio. Elsie's most amazing closet! She turned a spare room into her dream girl cave. This family may not have a big entryway but they have a wide staircase which they turned into a mudroom of sorts with tons of storage for every family member. This project was done by organization specialists, California Closets, who, as you can tell, do much more than traditional closets (and in many more places than California). This closet is inspired by that old-school magician sword trick. You can use this closet to store whatever you want: books, cds, folded clothes, shoes, etc. 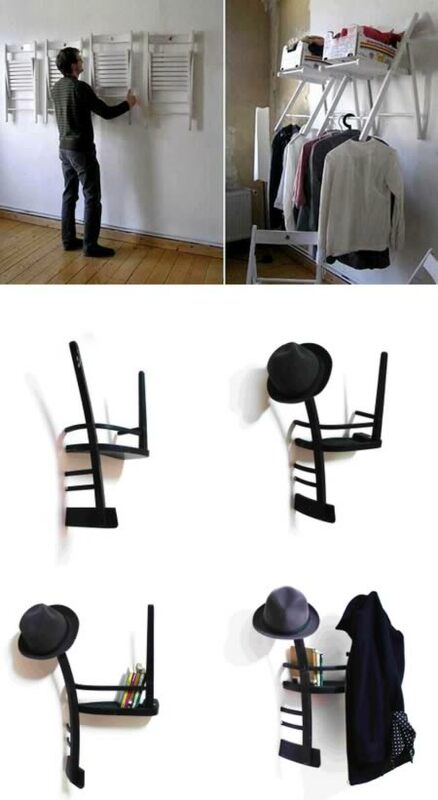 You can even take out some swords and use it as a wardrobe, to hang some dresses or shirts. Design by Rafael Morgan, Brazilian designer. 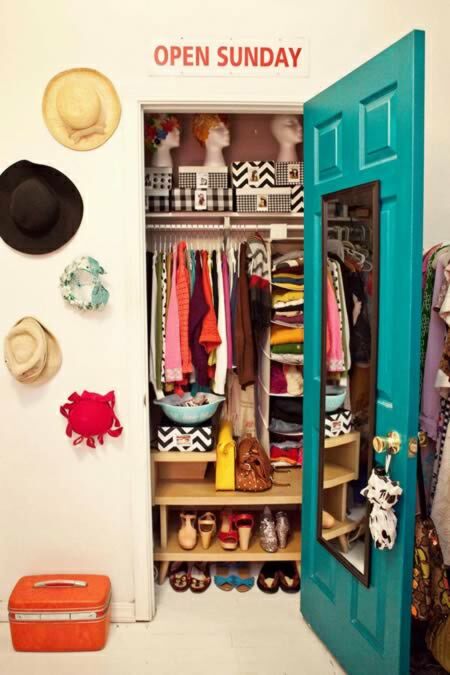 At first glance this just appears like a well-organized wardrobe closet, but if you take a closer look you'll see one of the most creative closets ever! 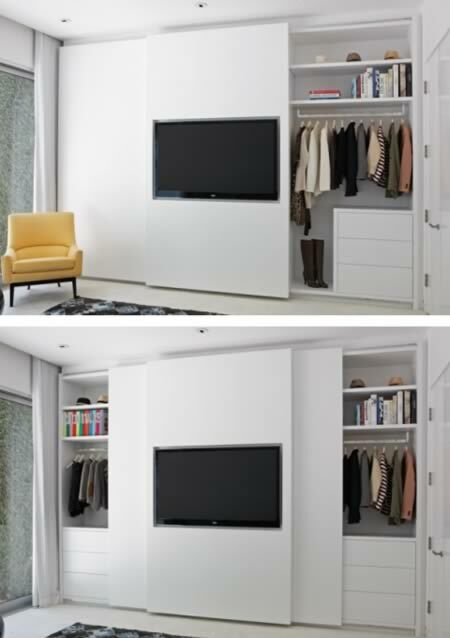 Designed by Lisa Adams of LA Closet Design, the clean, modern closet design features a flat screen on one of the sliding doors. Brilliant use of space! Great work Lisa! 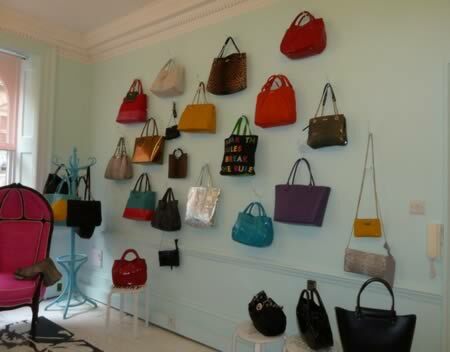 Your bags also deserve a distinctive place in your home (Kate Spade London Store). How adorable is this little girl's closet? Bins and small pull out shelves create a pretty arrangement for storing all those sweet cardigans and striped leggings.